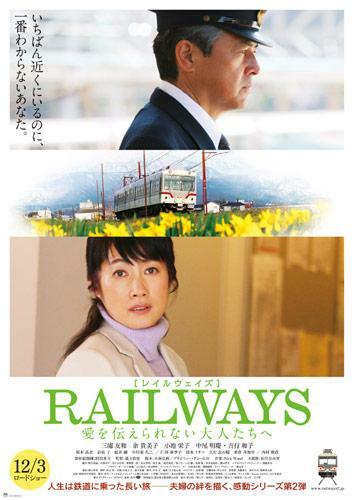 Railway driver Toru Takishima (Tomokazu Miura) works everyday without thinking about anything else. He just realizes he is 59 years-old with only month to go for mandatory retirement. His wife Sawako (Kimiko Yo) has always supported him as a faithful housewife. She is 55-years-old. The couple prepare to start a new life in their retirement years.